To reduce the development of drug-resistant bacteria and maintain the effectiveness of AUGMENTIN (amoxicillin/clavulanate potassium) and other antibacterial drugs, AUGMENTIN should be used only to treat or prevent infections that are proven or strongly suspected to be caused by bacteria. Inactive Ingredients: Colloidal silicon dioxide, hypromellose, magnesium stearate, microcrystalline cellulose, polyethylene glycol, sodium starch glycolate, and titanium dioxide. Each tablet of AUGMENTIN contains 0.63 mEq potassium. Amoxicillin and clavulanate potassium are well absorbed from the gastrointestinal tract after oral administration of AUGMENTIN. Dosing in the fasted or fed state has minimal effect on the pharmacokinetics of amoxicillin. While AUGMENTIN can be given without regard to meals, absorption of clavulanate potassium when taken with food is greater relative to the fasted state. In 1 study, the relative bioavailability of clavulanate was reduced when AUGMENTIN was dosed at 30 and 150 minutes after the start of a high-fat breakfast. The safety and efficacy of AUGMENTIN have been established in clinical trials where AUGMENTIN was taken without regard to meals. * Mean values of 14 normal volunteers (n = 15 for clavulanate potassium in the low-dose regimens). Peak concentrations occurred approximately 1.5 hours after the dose. † Administered at the start of a light meal. Amoxicillin serum concentrations achieved with AUGMENTIN are similar to those produced by the oral administration of equivalent doses of amoxicillin alone. The half-life of amoxicillin after the oral administration of AUGMENTIN is 1.3 hours and that of clavulanic acid is 1.0 hour. Approximately 50% to 70% of the amoxicillin and approximately 25% to 40% of the clavulanic acid are excreted unchanged in urine during the first 6 hours after administration of a single 250-mg or 500-mg tablet of AUGMENTIN. Concurrent administration of probenecid delays amoxicillin excretion but does not delay renal excretion of clavulanic acid. Neither component in AUGMENTIN is highly protein-bound; clavulanic acid has been found to be approximately 25% bound to human serum and amoxicillin approximately 18% bound. Amoxicillin diffuses readily into most body tissues and fluids with the exception of the brain and spinal fluid. The results of experiments involving the administration of clavulanic acid to animals suggest that this compound, like amoxicillin, is well distributed in body tissues. Microbiology: Amoxicillin is a semisynthetic antibiotic with a broad spectrum of bactericidal activity against many gram-positive and gram-negative microorganisms. Amoxicillin is, however, susceptible to degradation by β-lactamases, and therefore, the spectrum of activity does not include organisms which produce these enzymes. Clavulanic acid is a β-lactam, structurally related to the penicillins, which possesses the ability to inactivate a wide range of β-lactamase enzymes commonly found in microorganisms resistant to penicillins and cephalosporins. In particular, it has good activity against the clinically important plasmid-mediated β-lactamases frequently responsible for transferred drug resistance. The formulation of amoxicillin and clavulanic acid in AUGMENTIN protects amoxicillin from degradation by β-lactamase enzymes and effectively extends the antibiotic spectrum of amoxicillin to include many bacteria normally resistant to amoxicillin and other β-lactam antibiotics. Thus, AUGMENTIN possesses the properties of a broad-spectrum antibiotic and a β-lactamase inhibitor. Amoxicillin/clavulanic acid has been shown to be active against most strains of the following microorganisms, both in vitro and in clinical infections as described in INDICATIONS AND USAGE. ‡ Staphylococci which are resistant to methicillin/oxacillin must be considered resistant to amoxicillin/clavulanic acid. Amoxicillin/clavulanic acid exhibits in vitro minimal inhibitory concentrations (MICs) of 2 mcg/mL or less against most (≥90%) strains of Streptococcus pneumoniae§; MICs of 0.06 mcg/mL or less against most (≥90%) strains of Neisseria gonorrhoeae; MICs of 4 mcg/mL or less against most (≥90%) strains of staphylococci and anaerobic bacteria; and MICs of 8 mcg/mL or less against most (≥90%) strains of other listed organisms. However, with the exception of organisms shown to respond to amoxicillin alone, the safety and effectiveness of amoxicillin/clavulanic acid in treating clinical infections due to these microorganisms have not been established in adequate and well-controlled clinical trials. § Because amoxicillin has greater in vitro activity against S. pneumoniae than does ampicillin or penicillin, the majority of S. pneumoniae strains with intermediate susceptibility to ampicillin or penicillin are fully susceptible to amoxicillin. ║ Adequate and well-controlled clinical trials have established the effectiveness of amoxicillin alone in treating certain clinical infections due to these organisms. ¶ These are non–β-lactamase–producing organisms, and therefore, are susceptible to amoxicillin alone. Susceptibility Testing: Dilution Techniques: Quantitative methods are used to determine antimicrobial MICs. These MICs provide estimates of the susceptibility of bacteria to antimicrobial compounds. The MICs should be determined using a standardized procedure. Standardized procedures are based on a dilution method1 (broth or agar) or equivalent with standardized inoculum concentrations and standardized concentrations of amoxicillin/clavulanate potassium powder. ** Staphylococci which are susceptible to amoxicillin/clavulanic acid but resistant to methicillin/oxacillin must be considered as resistant. NOTE: These interpretive criteria are based on the recommended doses for respiratory tract infections. A report of “Susceptible” indicates that the pathogen is likely to be inhibited if the antimicrobial compound in the blood reaches the concentration usually achievable. A report of “Intermediate” indicates that the result should be considered equivocal, and, if the microorganism is not fully susceptible to alternative, clinically feasible drugs, the test should be repeated. This category implies possible clinical applicability in body sites where the drug is physiologically concentrated or in situations where high dosage of drug can be used. This category also provides a buffer zone, which prevents small uncontrolled technical factors from causing major discrepancies in interpretation. A report of “Resistant” indicates that the pathogen is not likely to be inhibited if the antimicrobial compound in the blood reaches the concentrations usually achievable; other therapy should be selected. †† Expressed as concentration of amoxicillin in the presence of clavulanic acid at a constant 2 parts amoxicillin to 1 part clavulanic acid. Diffusion Techniques: Quantitative methods that require measurement of zone diameters also provide reproducible estimates of the susceptibility of bacteria to antimicrobial compounds. One such standardized procedure2 requires the use of standardized inoculum concentrations. This procedure uses paper disks impregnated with 30 mcg of amoxicillin/clavulanate potassium (20 mcg amoxicillin plus 10 mcg clavulanate potassium) to test the susceptibility of microorganisms to amoxicillin/clavulanic acid. ‡‡ Staphylococci which are resistant to methicillin/oxacillin must be considered as resistant to amoxicillin/clavulanic acid. a A broth microdilution method should be used for testing H. influenzae. Beta-lactamase–negative, ampicillin-resistant strains must be considered resistant to amoxicillin/clavulanic acid. b Susceptibility of S. pneumoniae should be determined using a 1-mcg oxacillin disk. Isolates with oxacillin zone sizes of ≥20 mm are susceptible to amoxicillin/clavulanic acid. An amoxicillin/clavulanic acid MIC should be determined on isolates of S. pneumoniae with oxacillin zone sizes of ≤19 mm. c A broth microdilution method should be used for testing N. gonorrhoeae and interpreted according to penicillin breakpoints. Interpretation should be as stated above for results using dilution techniques. Interpretation involves correlation of the diameter obtained in the disk test with the MIC for amoxicillin/clavulanic acid. Lower Respiratory Tract Infections – caused by β-lactamase–producing strains of H. influenzae and M. catarrhalis. Otitis Media – caused by β-lactamase–producing strains of H. influenzae and M. catarrhalis. Sinusitis – caused by β-lactamase–producing strains of H. influenzae and M. catarrhalis. Skin and Skin Structure Infections – caused by β-lactamase–producing strains of S. aureus, E. coli, and Klebsiella spp. Urinary Tract Infections – caused by β-lactamase–producing strains of E. coli, Klebsiella spp., and Enterobacter spp. To reduce the development of drug-resistant bacteria and maintain the effectiveness of AUGMENTIN and other antibacterial drugs, AUGMENTIN should be used only to treat or prevent infections that are proven or strongly suspected to be caused by susceptible bacteria. When culture and susceptibility information are available, they should be considered in selecting or modifying antibacterial therapy. In the absence of such data, local epidemiology and susceptibility patterns may contribute to the empiric selection of therapy. Bacteriological studies, to determine the causative organisms and their susceptibility to AUGMENTIN, should be performed together with any indicated surgical procedures. AUGMENTIN is contraindicated in patients with a history of allergic reactions to any penicillin. It is also contraindicated in patients with a previous history of cholestatic jaundice/hepatic dysfunction associated with AUGMENTIN. SERIOUS AND OCCASIONALLY FATAL HYPERSENSITIVITY (ANAPHYLACTIC) REACTIONS HAVE BEEN REPORTED IN PATIENTS ON PENICILLIN THERAPY. THESE REACTIONS ARE MORE LIKELY TO OCCUR IN INDIVIDUALS WITH A HISTORY OF PENICILLIN HYPERSENSITIVITY AND/OR A HISTORY OF SENSITIVITY TO MULTIPLE ALLERGENS. THERE HAVE BEEN REPORTS OF INDIVIDUALS WITH A HISTORY OF PENICILLIN HYPERSENSITIVITY WHO HAVE EXPERIENCED SEVERE REACTIONS WHEN TREATED WITH CEPHALOSPORINS. BEFORE INITIATING THERAPY WITH AUGMENTIN, CAREFUL INQUIRY SHOULD BE MADE CONCERNING PREVIOUS HYPERSENSITIVITY REACTIONS TO PENICILLINS, CEPHALOSPORINS, OR OTHER ALLERGENS. IF AN ALLERGIC REACTION OCCURS, AUGMENTIN SHOULD BE DISCONTINUED AND THE APPROPRIATE THERAPY INSTITUTED. SERIOUS ANAPHYLACTIC REACTIONS REQUIRE IMMEDIATE EMERGENCY TREATMENT WITH EPINEPHRINE. OXYGEN, INTRAVENOUS STEROIDS, AND AIRWAY MANAGEMENT, INCLUDING INTUBATION, SHOULD ALSO BE ADMINISTERED AS INDICATED. Pseudomembranous colitis has been reported with nearly all antibacterial agents, including AUGMENTIN, and has ranged in severity from mild to life-threatening; therefore, it is important to consider this diagnosis in patients who present with diarrhea subsequent to the administration of antibacterial agents. After the diagnosis of pseudomembranous colitis has been established, appropriate therapeutic measures should be initiated. Mild cases of pseudomembranous colitis usually respond to drug discontinuation alone. In moderate to severe cases, consideration should be given to management with fluids and electrolytes, protein supplementation, and treatment with an antibacterial drug clinically effective against C. difficile colitis. General: While AUGMENTIN possesses the characteristic low toxicity of the penicillin group of antibiotics, periodic assessment of organ system functions, including renal, hepatic, and hematopoietic function, is advisable during prolonged therapy. A high percentage of patients with mononucleosis who receive ampicillin develop an erythematous skin rash. Thus, ampicillin-class antibiotics should not be administered to patients with mononucleosis. The possibility of superinfections with mycotic or bacterial pathogens should be kept in mind during therapy. If superinfections occur (usually involving Pseudomonas or Candida), the drug should be discontinued and/or appropriate therapy instituted. Prescribing AUGMENTIN in the absence of a proven or strongly suspected bacterial infection or a prophylactic indication is unlikely to provide benefit to the patient and increases the risk of the development of drug-resistant bacteria. Drug Interactions: Probenecid decreases the renal tubular secretion of amoxicillin. Concurrent use with AUGMENTIN may result in increased and prolonged blood levels of amoxicillin. Coadministration of probenecid cannot be recommended. The concurrent administration of allopurinol and ampicillin increases substantially the incidence of rashes in patients receiving both drugs as compared to patients receiving ampicillin alone. It is not known whether this potentiation of ampicillin rashes is due to allopurinol or the hyperuricemia present in these patients. There are no data with AUGMENTIN and allopurinol administered concurrently. In common with other broad-spectrum antibiotics, AUGMENTIN may reduce the efficacy of oral contraceptives. Drug/Laboratory Test Interactions: Oral administration of AUGMENTIN will result in high urine concentrations of amoxicillin. High urine concentrations of ampicillin may result in false-positive reactions when testing for the presence of glucose in urine using CLINITEST®, Benedict’s Solution, or Fehling’s Solution. Since this effect may also occur with amoxicillin and therefore AUGMENTIN, it is recommended that glucose tests based on enzymatic glucose oxidase reactions (such as CLINISTIX®) be used. Following administration of ampicillin to pregnant women, a transient decrease in plasma concentration of total conjugated estriol, estriol-glucuronide, conjugated estrone and estradiol has been noted. This effect may also occur with amoxicillin and therefore AUGMENTIN. Information for Patients: Patients should be counseled that antibacterial drugs including AUGMENTIN, should only be used to treat bacterial infections. They do not treat viral infections (e.g., the common cold). When AUGMENTIN is prescribed to treat a bacterial infection, patients should be told that although it is common to feel better early in the course of therapy, the medication should be taken exactly as directed. Skipping doses or not completing the full course of therapy may: (1) decrease the effectiveness of the immediate treatment, and (2) increase the likelihood that bacteria will develop resistance and will not be treatable by AUGMENTIN or other antibacterial drugs in the future. Carcinogenesis, Mutagenesis, Impairment of Fertility: Long-term studies in animals have not been performed to evaluate carcinogenic potential. Mutagenesis: The mutagenic potential of AUGMENTIN was investigated in vitro with an Ames test, a human lymphocyte cytogenetic assay, a yeast test and a mouse lymphoma forward mutation assay, and in vivo with mouse micronucleus tests and a dominant lethal test. All were negative apart from the in vitro mouse lymphoma assay where weak activity was found at very high, cytotoxic concentrations. Impairment of Fertility: AUGMENTIN at oral doses of up to 1,200 mg/kg/day (5.7 times the maximum human dose, 1,480 mg/m2/day, based on body surface area) was found to have no effect on fertility and reproductive performance in rats, dosed with a 2:1 ratio formulation of amoxicillin:clavulanate. Teratogenic effects: Pregnancy (Category B). Reproduction studies performed in pregnant rats and mice given AUGMENTIN at oral dosages up to 1,200 mg/kg/day, equivalent to 7,200 and 4,080 mg/m2/day, respectively (4.9 and 2.8 times the maximum human oral dose based on body surface area), revealed no evidence of harm to the fetus due to AUGMENTIN. There are, however, no adequate and well-controlled studies in pregnant women. Because animal reproduction studies are not always predictive of human response, this drug should be used during pregnancy only if clearly needed. Labor and Delivery: Oral ampicillin-class antibiotics are generally poorly absorbed during labor. Studies in guinea pigs have shown that intravenous administration of ampicillin decreased the uterine tone, frequency of contractions, height of contractions, and duration of contractions; however, it is not known whether the use of AUGMENTIN in humans during labor or delivery has immediate or delayed adverse effects on the fetus, prolongs the duration of labor, or increases the likelihood that forceps delivery or other obstetrical intervention or resuscitation of the newborn will be necessary. In a single study in women with premature rupture of fetal membranes, it was reported that prophylactic treatment with AUGMENTIN may be associated with an increased risk of necrotizing enterocolitis in neonates. Nursing Mothers: Ampicillin-class antibiotics are excreted in the milk; therefore, caution should be exercised when AUGMENTIN is administered to a nursing woman. Geriatric Use: An analysis of clinical studies of AUGMENTIN was conducted to determine whether subjects aged 65 and over respond differently from younger subjects. Of the 3,119 patients in this analysis, 68% were <65 years old, 32% were ≥65 years old and 14% were ≥75 years old. This analysis and other reported clinical experience have not identified differences in responses between the elderly and younger patients, but a greater sensitivity of some older individuals cannot be ruled out. AUGMENTIN is generally well tolerated. The majority of side effects observed in clinical trials were of a mild and transient nature and less than 3% of patients discontinued therapy because of drug-related side effects. The most frequently reported adverse effects were diarrhea/loose stools (9%), nausea (3%), skin rashes and urticaria (3%), vomiting (1%) and vaginitis (1%). The overall incidence of side effects, and in particular diarrhea, increased with the higher recommended dose. Other less frequently reported reactions include: Abdominal discomfort, flatulence, and headache. Liver: A moderate rise in AST (SGOT) and/or ALT (SGPT) has been noted in patients treated with ampicillin-class antibiotics but the significance of these findings is unknown. Hepatic dysfunction, including increases in serum transaminases (AST and/or ALT), serum bilirubin, and/or alkaline phosphatase, has been infrequently reported with AUGMENTIN. It has been reported more commonly in the elderly, in males, or in patients on prolonged treatment. The histologic findings on liver biopsy have consisted of predominantly cholestatic, hepatocellular, or mixed cholestatic-hepatocellular changes. The onset of signs/symptoms of hepatic dysfunction may occur during or several weeks after therapy has been discontinued. The hepatic dysfunction, which may be severe, is usually reversible. On rare occasions, deaths have been reported (less than 1 death reported per estimated 4 million prescriptions worldwide). These have generally been cases associated with serious underlying diseases or concomitant medications. Renal: Interstitial nephritis and hematuria have been reported rarely. Crystalluria has also been reported (see OVERDOSAGE). Hemic and Lymphatic Systems: Anemia, including hemolytic anemia, thrombocytopenia, thrombocytopenic purpura, eosinophilia, leukopenia, and agranulocytosis have been reported during therapy with penicillins. These reactions are usually reversible on discontinuation of therapy and are believed to be hypersensitivity phenomena. A slight thrombocytosis was noted in less than 1% of the patients treated with AUGMENTIN. There have been reports of increased prothrombin time in patients receiving AUGMENTIN and anticoagulant therapy concomitantly. Central Nervous System: Agitation, anxiety, behavioral changes, confusion, convulsions, dizziness, insomnia, and reversible hyperactivity have been reported rarely. Miscellaneous: Tooth discoloration (brown, yellow, or gray staining) has been rarely reported. Most reports occurred in pediatric patients. Discoloration was reduced or eliminated with brushing or dental cleaning in most cases. Following overdosage, patients have experienced primarily gastrointestinal symptoms including stomach and abdominal pain, vomiting, and diarrhea. Rash, hyperactivity, or drowsiness have also been observed in a small number of patients. Interstitial nephritis resulting in oliguric renal failure has been reported in a small number of patients after overdosage with amoxicillin. Since both the 250-mg and 500-mg tablets of AUGMENTIN contain the same amount of clavulanic acid (125 mg, as the potassium salt), two 250-mg tablets of AUGMENTIN are not equivalent to one 500-mg tablet of AUGMENTIN; therefore, two 250-mg tablets of AUGMENTIN should not be substituted for one 500-mg tablet of AUGMENTIN. Adults: The usual adult dose is one 500-mg tablet of AUGMENTIN every 12 hours or one 250-mg tablet of AUGMENTIN every 8 hours. For more severe infections and infections of the respiratory tract, the dose should be one 875-mg tablet of AUGMENTIN every 12 hours or one 500-mg tablet of AUGMENTIN every 8 hours. Patients with impaired renal function do not generally require a reduction in dose unless the impairment is severe. Severely impaired patients with a glomerular filtration rate of <30 mL/min. should not receive the 875-mg tablet. Patients with a glomerular filtration rate of 10 to 30 mL/min. should receive 500 mg or 250 mg every 12 hours, depending on the severity of the infection. Patients with a less than 10 mL/min. glomerular filtration rate should receive 500 mg or 250 mg every 24 hours, depending on severity of the infection. Pediatric Patients: Pediatric patients weighing 40 kg or more should be dosed according to the adult recommendations. Due to the different amoxicillin to clavulanic acid ratios in the 250-mg tablet of AUGMENTIN (250/125) versus the 250-mg chewable tablet of AUGMENTIN (250/62.5), the 250-mg tablet of AUGMENTIN should not be used until the pediatric patient weighs at least 40 kg or more. Administration: AUGMENTIN may be taken without regard to meals; however, absorption of clavulanate potassium is enhanced when AUGMENTIN is administered at the start of a meal. To minimize the potential for gastrointestinal intolerance, AUGMENTIN should be taken at the start of a meal. AUGMENTIN 250-mg Tablets: Each white oval filmcoated tablet, debossed with AUGMENTIN on 1 side and 250/125 on the other side, contains 250 mg amoxicillin as the trihydrate and 125 mg clavulanic acid as the potassium salt. AUGMENTIN 500-mg Tablets: Each white oval filmcoated tablet, debossed with AUGMENTIN on 1 side and 500/125 on the other side, contains 500 mg amoxicillin as the trihydrate and 125 mg clavulanic acid as the potassium salt. AUGMENTIN 875-mg Tablets: Each scored white capsule-shaped tablet, debossed with AUGMENTIN 875 on 1 side and scored on the other side, contains 875 mg amoxicillin as the trihydrate and 125 mg clavulanic acid as the potassium salt. Store tablets and dry powder at or below 25°C (77°F). Dispense in original container. Data from 2 pivotal studies in 1,191 patients treated for either lower respiratory tract infections or complicated urinary tract infections compared a regimen of 875-mg tablets of AUGMENTIN q12h to 500-mg tablets of AUGMENTIN dosed q8h (584 and 607 patients, respectively). Comparable efficacy was demonstrated between the q12h and q8h dosing regimens. There was no significant difference in the percentage of adverse events in each group. The most frequently reported adverse event was diarrhea; incidence rates were similar for the 875-mg q12h and 500-mg q8h dosing regimens (14.9% and 14.3%, respectively); however, there was a statistically significant difference (p<0.05) in rates of severe diarrhea or withdrawals with diarrhea between the regimens: 1.0% for 875-mg q12h dosing versus 2.5% for the 500-mg q8h dosing. As noted before, though there was no significant difference in the percentage of adverse events in each group, there was a statistically significant difference in rates of severe diarrhea or withdrawals with diarrhea between the regimens. 1. National Committee for Clinical Laboratory Standards. Methods for Dilution Antimicrobial Susceptibility Tests for Bacteria that Grow Aerobically - Third Edition. 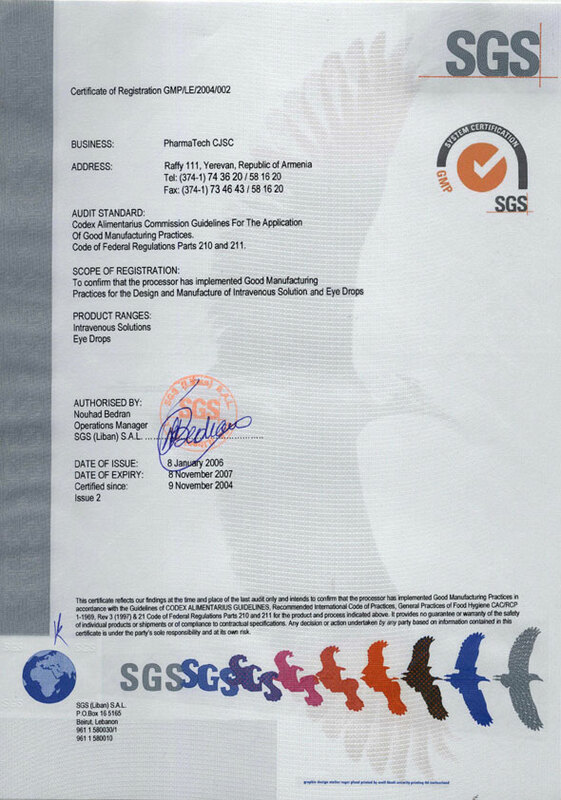 Approved Standard NCCLS Document M7-A3, Vol. 13, No. 25. NCCLS, Villanova, PA, December 1993. 2. National Committee for Clinical Laboratory Standards. Performance Standards for Antimicrobial Disk Susceptibility Tests - Fifth Edition. 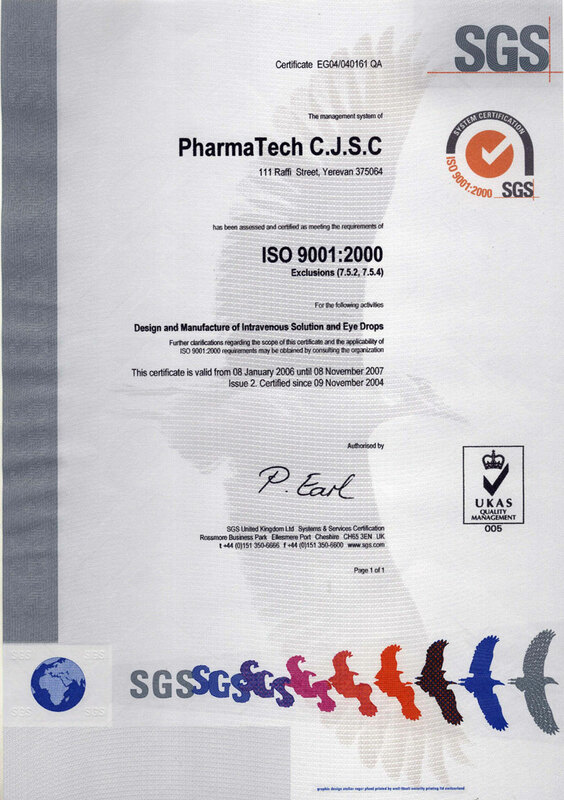 Approved Standard NCCLS Document M2-A5, Vol. 13, No. 24. NCCLS, Villanova, PA, December 1993. 3. Swanson-Biearman B, Dean BS, Lopez G, Krenzelok EP. The effects of penicillin and cephalosporin ingestions in children less than six years of age. Vet Hum Toxicol. 1988;30:66-67. 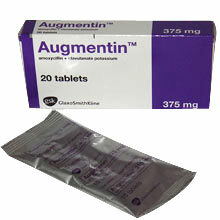 AUGMENTIN is a registered trademark of GlaxoSmithKline. CLINITEST is a registered trademark of Miles, Inc.
CLINISTIX is a registered trademark of Bayer Corporation. ©2005, GlaxoSmithKline. All rights reserved.